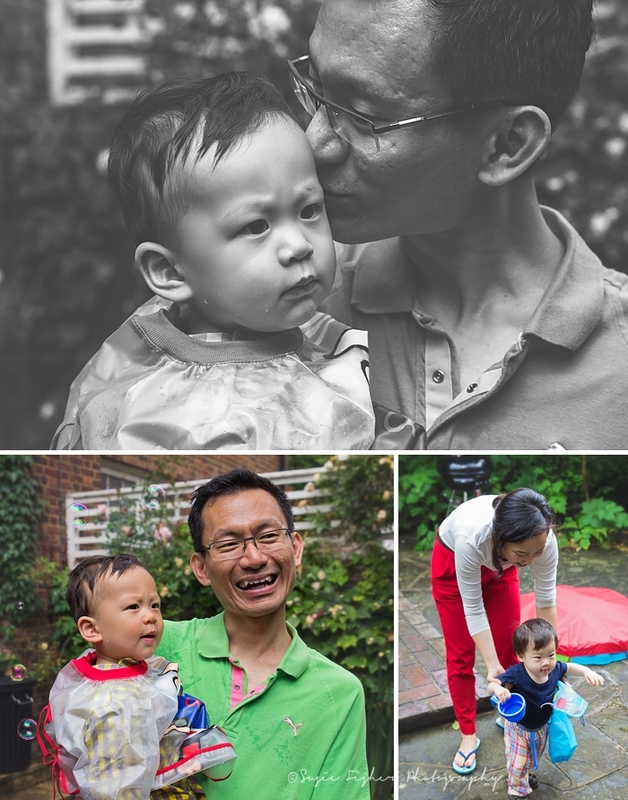 A couple of weeks ago I was invited to photograph the lovely Jonah's 1st Birthday near Hyde Park - and what a beautiful party his parents put on for him! With baked sweet potato, crepes, Jelly Pops (look them up - a great idea for children's parties! ), and watermelon, strawberries, melon and mango - it was a deliciously colourful summer spread for the children - a HUGE well done to Jonah's Mum and Dad for putting together such a perfect party for their friends and family! 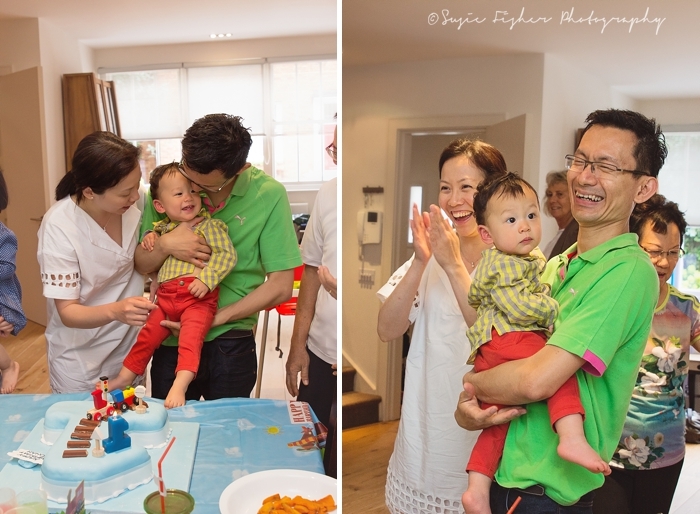 Jonah's grandparents had come all the way from Singapore to celebrate - children's parties truly are such a great time to capture all the family together on camera! AND even the sun came out so the children could enjoy some water play in the garden (and the adults quickly discovered an amazing giant bubble wand which they promptly played with all morning - I now want one!). A BIG Happy 1st Birthday to Jonah! Downstairs to see the Birthday cake and all the friends and family. Check out the amazing Jelly Pops Jonah's Mum made and the adorable poem that his grandma wrote for his Birthday! Time for some party food! Hard at work outside, one of the Dad's sorts the BBQ! The SUN IS SHINING! Quick, outside to enjoy some water fun! Time to say goodbye to everyone - how ADORABLE is this little girl?! She was blowing kisses and waving as she walked out the door! HAPPY BIRTHDAY JONAH! A truly delightful little boy and an absolute pleasure to photograph!